The foundation hopes to reach 100,000 placements by 2024. Veterans have long been faced with challenges re-integrating into civilian lifestyle. Despite the transferable skills provided by military service, retired soldiers have faced higher-than-average unemployment and underemployment upon returning home. In 2018, the United States unemployment rate for Gulf War-era II veterans (active service from September 2001 to present) was 3.8 percent. Overall unemployment in the United States was 3.9 percent. However, as a 2017 Marketplace article points out, the unemployment percentage for veterans is especially misleading. The statistic only takes into account those actively participating in the workforce. Those who have been disabled or have simply given up looking for a job are not included. If a veteran hasn’t looked for work in the past four weeks and is available for work, they aren’t counted in the unemployment statistic. In 2017, that pool included about 10 million people (slightly more than half of US veterans). The Call of Duty Endowment also noted in 2017 that about one-third of veterans are underemployed (employment below a candidate’s skill level). This significantly eclipses the non-veteran underemployment rate. Through more than $5.2 million in grants in 2018 (and more than $36 million since the organization’s founding), the Call of Duty Endowment funds 11 different job placement and veteran service organizations, including AmVets, Hire Heroes, Operation: Job Ready Veterans, and Corporate America Supports You (CASY). 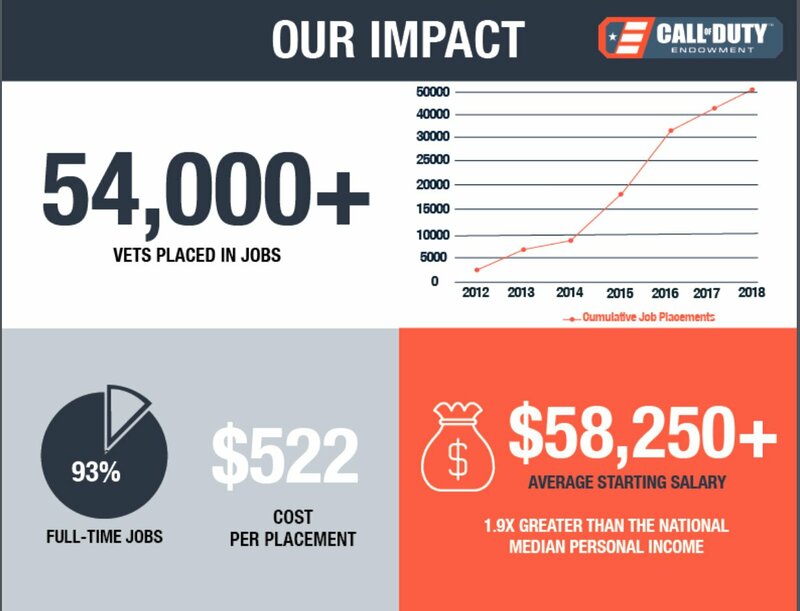 In 2018, the Call of Duty Endowment helped placed more than 10,000 veterans in well-paying jobs with an average starting salary of $58,260. This is approximately 1.9 times the national median personal income. 93 percent of those jobs are full-time, and cost the endowment’s partners only $522 each on average (about one-sixth of the cost incurred by the US Government when working to find veterans employment). 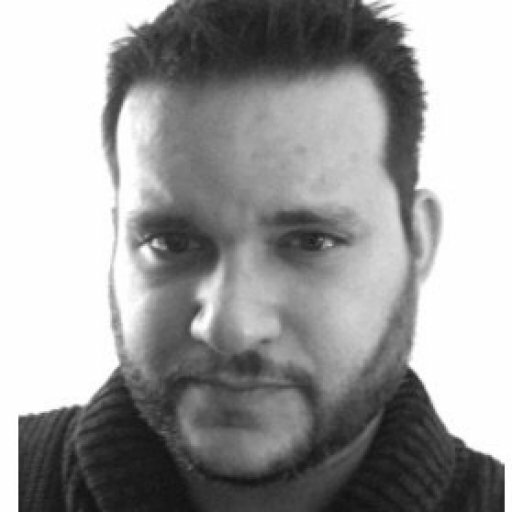 Veterans placed by Call of Duty Endowment partners tend to stay in those jobs, with 87 percent holding down their positions for more than six months. While the Endowment does solicit traditional donations, it also appeals to players through the sale of physical items (like dog tags) and digital goods. Most recently, Call of Duty: Black Ops IIII players have been offered a bundle of in-game items called the Endowment Salute Pack. It includes a tag, sticker, gesture, calling card and emblem. 100 percent of the sale price is provided to the Endowment, with Activision Blizzard paying overhead costs like platform fees. The Endowment has also set its long-term goals after closing out 2018 with more than 54,000 veterans receiving support since the organization’s founding. The group has set its next milestone, targeting 100,000 job placements by 2024.